Schrade MAGIC Assisted Open Clip Point Liner Lock Pocket Knife Black | BUDK.com - Knives & Swords At The Lowest Prices! 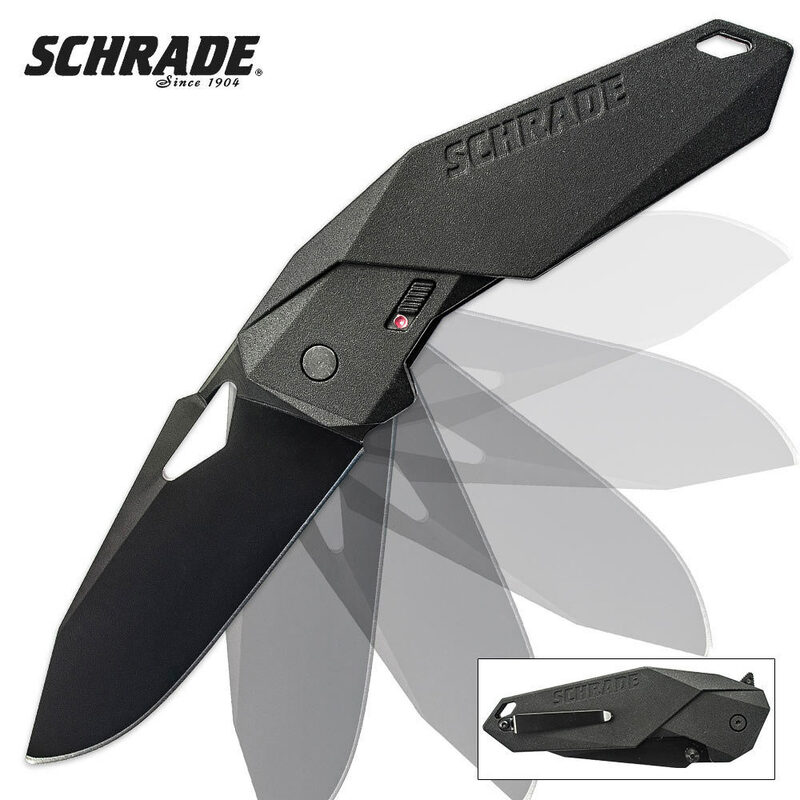 Enjoy super fast one-handed opening with this assisted-opening folding pocket knife from Schrade. Featuring MAGIC assisted-open technology, this folding pocket knife offers a black stainless steel clip point blade, thumb knob, finger actuator, pocket clip, liner lock and safety lock, making it an excellent every day carry assisted-opening folding pocket knife.